Manchester United forward Anthony Martial has withdrawn from France duty due to a knee injury. 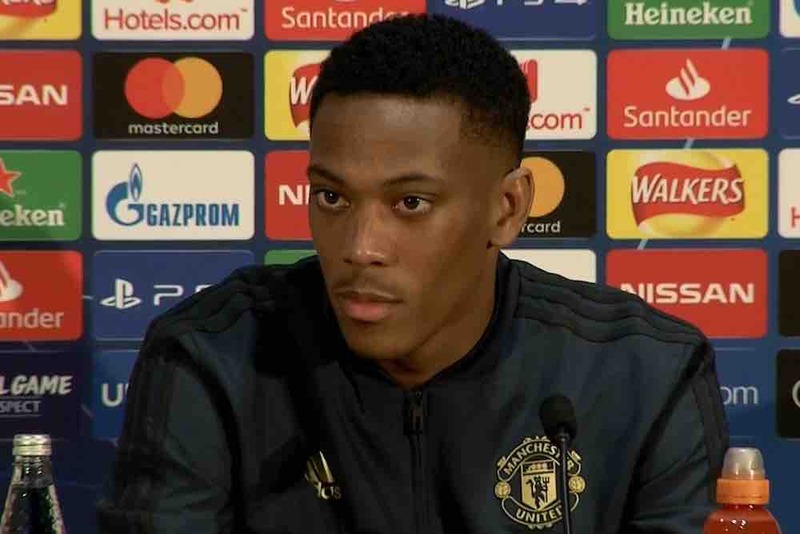 Martial was named in Didier Deschamps’ squad for the opening Euro 2020 qualifiers against Moldova and Iceland, but has now pulled out of the games. The 23-year-old has been sidelined since the defeat to Paris Saint-Germain in the Champions League last-16 first leg at Old Trafford last month. He made his comeback in the FA Cup quarter final defeat at Wolverhampton Wanderers on Saturday evening, but reportedly suffered a recurrence of the injury in his right knee. Atletico Madrid winger Thomas Lemar has replaced Martial in the France squad. Martial will now be assessed by United’s medical team at Carrington to determine the extent of the injury. A statement of United’s website says it is not yet clear whether Martial will be fit to play in their next game, which is against Watford on March 30.